nutrients such as Canna, vitalink, house and garden, Dutchpro and others. as Bromsgrove, Worcester, Droitwich Spa and kidderminster worcestershire. 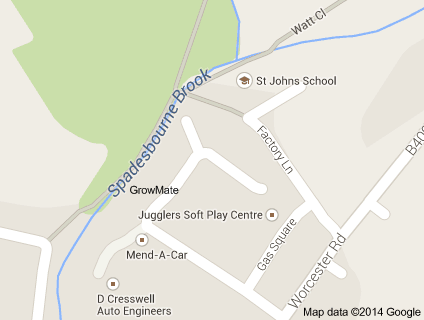 Only a few miles away it is just a short drive to our unit in Bromsgrove. Dudley, Merry Hill, Oldbury, Halesowen, Quinton, Stourbridge. Our new hydroponics shop in bromsgrove. Grow Mate, hydroponics shop in Lye Stourbridge at the Embassey Industrial Estate along the Hayes, West Midlands Is now open. GrowMate hydroponics has expanded and opened its second shop. Our new hydroponics showroom is locacted at Bromsgrove Worcestershire. Unit 4 Sanders Road industrial Estate B61 7DG. We are well placed and only a short drive from Redditch, Kidderminster, Worcester, Droitwich Spa and Rubery.